Venus is the first planet out from the Sun to connect between two others, between Mercury and Earth. 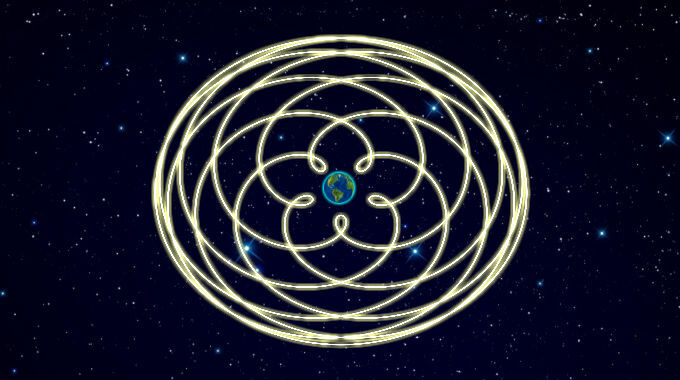 Venus’s cycles are orderly and regular, even beautiful, in her recurring geometry. Accordingly, Venus is the planet of relationships, unions, harmony, redemption, balance, beauty, love and romance. The condition of Venus at the time of our birth says something about what we find most valuable, precious and attractive, our styles of giving and receiving affection, our capacity for charming and unifying with others. It blesses and sweetens the topics of the signs it transits through.